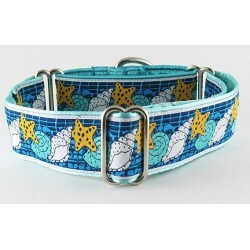 Beat the dog days of summer with these beachy themed collars perfect for lazing at the beach, lake, backyard or favorite vacation spot. 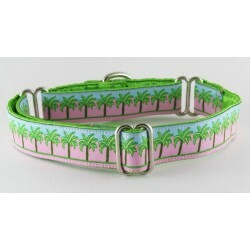 Summer Times Collection There are 29 products. 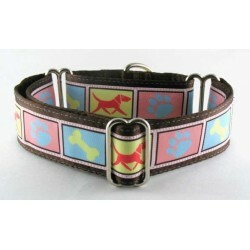 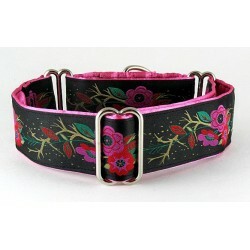 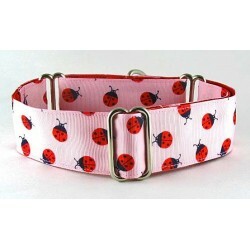 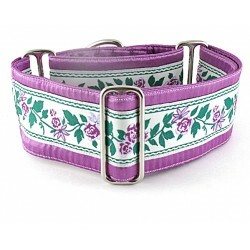 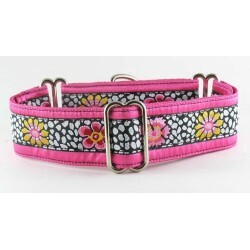 Colette martingale or snap-buckle dog collar wearing an expertly woven floral trim in shades of pink, red and black. 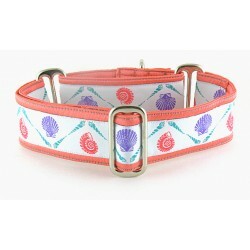 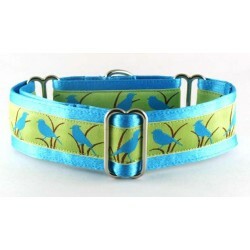 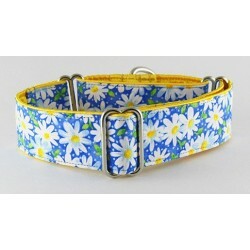 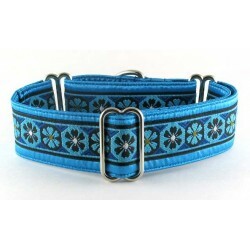 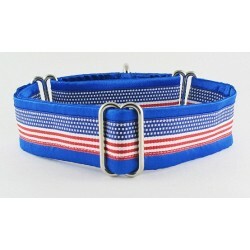 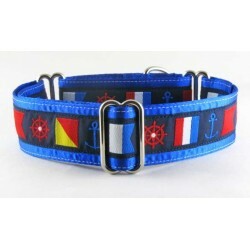 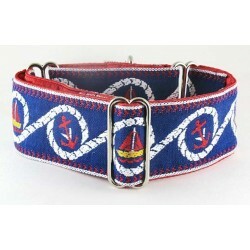 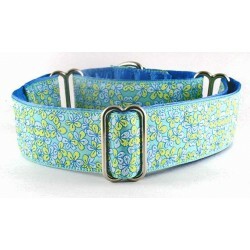 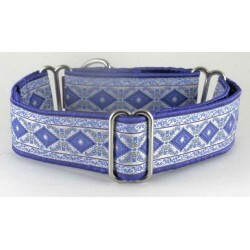 Malokai martingale or traditional snap-buckle dog collar featuring a retro, tropical island theme in shades of blue. 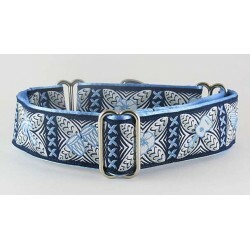 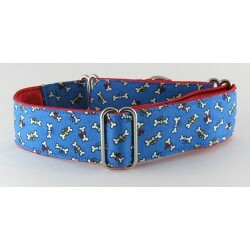 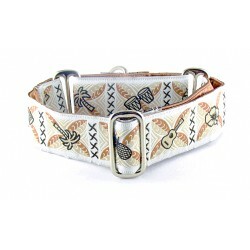 Sky Bones buckle dog collar wearing a hand-made cotton trim with tiny bones, on a blue background.